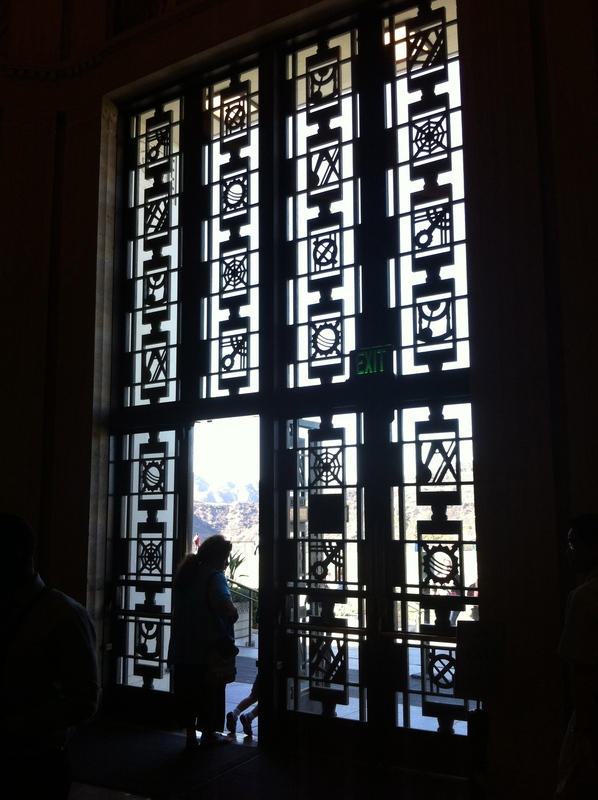 Standing in front of the Griffith Park Observatory gives locals and tourists an awe moment. Architects, astronomers, and public leaders helped Griffith J. Griffith’s achieve his dream to build the best public observatory in the world. From Griffith’s bequest in 1919 to the Observatory’s dedication on May 14, 1935, the Observatory has welcomed 70 million visitors and is the world’s leader in public astronomy. There is no admission fee to enter the Observatory and you don’t need a reservation. Check out the gorgeous metal and glass front doors. The building and grounds are visually beautiful everywhere you look. 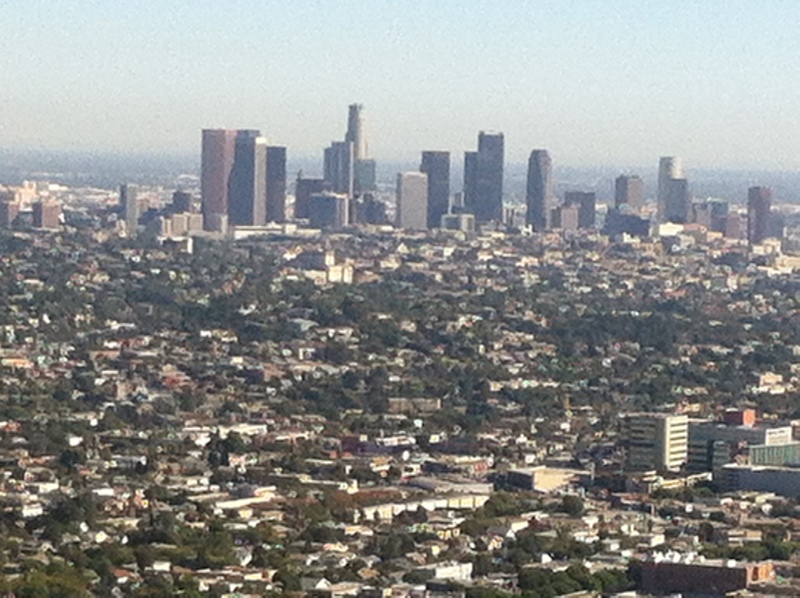 On a clear day one can see the snow-capped mountains, the sky scrapers of downtown Los Angeles, Hollywood, Century City and Santa Monica. Catalina Island and Palos Verdes rest next to the Pacific Ocean. 1. The Central Rotunda is exquisite with its painted ceiling and walls celebrating the intersection of science and mythology, earth and sky. The gently swaying of the 240-pound brass ball, suspended by a 40 foot long cable – Foucault pendulum is hypnotizing. It’s one of the largest scientific instruments designed to demonstrate the Earth’s rotation. As the day passes, the pendulum knocks over pegs set up in the pendulum pit and indicates the progress of rotation. 2. Purchase tickets for one of the shows inside the Samuel Oschin Planetarium to see a state of the art laser digital show from a Zeiss star projector. The dome ceiling offers movie magic up on the walls and ceiling. The newest show – Time’s Up – examines the fundamental nature of time. Some of the shows have a live narrator. Children under 5 are admitted ONLY to the first show each day (12:45 p.m. on weekdays, 10:45 a.m. on weekends). Ticket prices range from $3 to $7. When outside before entering the theatre, take a peek at the multi-million dollar views. 3. 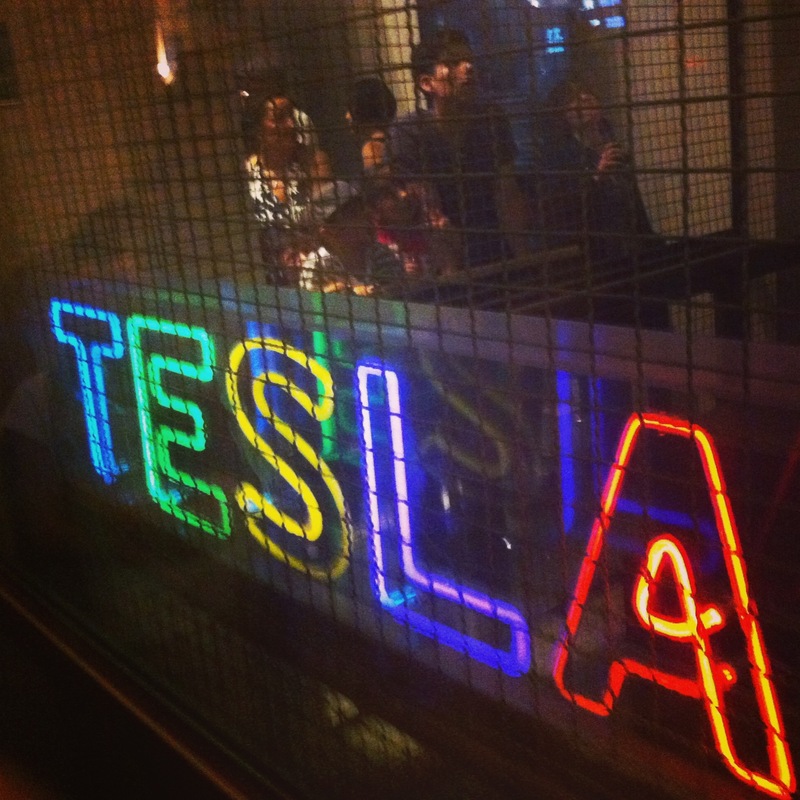 See the Tesla Coil in the Hall of the Eye throw lighting-like arcs with sparks, while emitting a loud roar. It’s one of the most memorable and iconic exhibits. The Tesla coil converts low-voltage alternating current electricity to very high voltage and increases the frequency. It is named after its inventor, eccentric genius Nikola Tesla (1856-1943), who displayed his first model in 1891. The main aim of the Tesla coil was transmission of electricity through the air, without using wires. Expensive to build, Tesla and others worked on wireless electrical transmission networks. Though not wireless, the power grid that we use to bring electricity to our homes today is based on Tesla’s work. He would be so pleased to know a fully electric luxury car is now named after him. 4. Wear walking shoes. If you arrive on the weekend, the parking lot may be full. You may have to park on adjacent roads. After a visit, there are some interesting hiking trails surrounding the Observatory. Picnic tables are available too. 5. Walk through all the exhibits to learn more about our Universe. The Gunther Depths of Space is filled with interactive displays of the planets, our Earth, solar system, milky way galaxy and more. It’s fascinating. The Observatory is closed on Mondays. To approach the Observatory take the Vermont or Fern Dell entrances into Griffith Park. Fern Dell is closed each evening at sunset. Handicapped parking is available near the building.